We’re back where it all started for our 2019 Pop-Up Pizza season - Last Friday of every month at The Plough Inn, South Leverton. 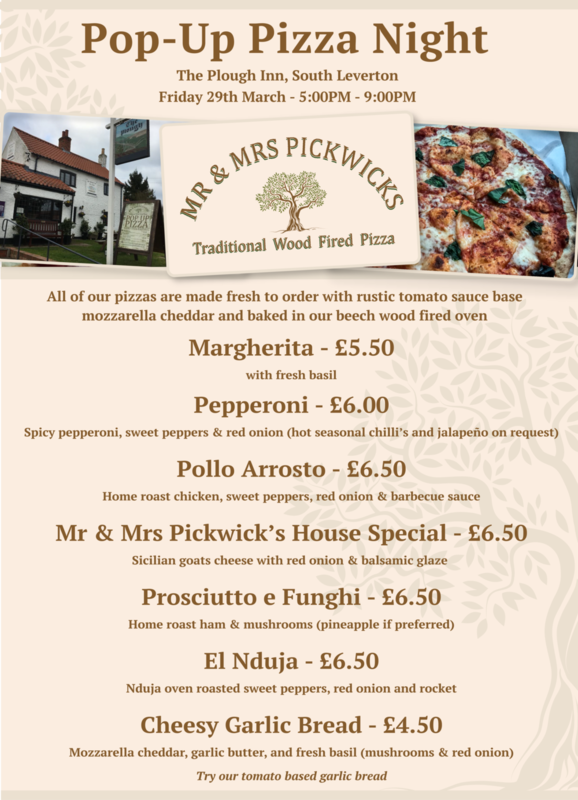 Serving freshly made wood fired pizza to order from 5pm to 9pm. The Plough is a beautiful, friendly traditional pub with cosy log fires and a lovely atmosphere. So you’re welcome to pop in for a couple of drinks whilst you enjoy your pizza, or take-away.